That’s the M.O. 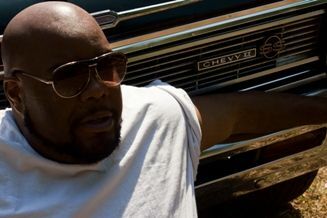 of D.C.-based Kokayi, the singer/songwriter/MC/producer who popped up on radar on the strength of a Grammy-nominated turn performing and co-producing Ethiopian singer Wayna’s 2009 hit, Lovin’ You (Music). Kokayi (whose handle is derived from the Swahili word meaning “to summon the people”) is a true working class hero, a self-taught performer whose 2007 debut, Mass Instructions, took him around the world and landed him a gig as a cultural envoy for the US State Department’s Rhythm Road program. Apparently, the guy doesn’t sleep because, in addition to the aforementioned undertakings, he also remains active as a member of electrophunk duo Dastardly (with DJ/Producer Sharkey) and The Caesarz, as well as paying the bills by composing cartoon and commercial musicals scores. The bow on the top of this package is his sophomore solo effort, Robots & Dinosaurs, an everything-plus-the-kitchen-sink post-modern pastiche of sonic sweets. 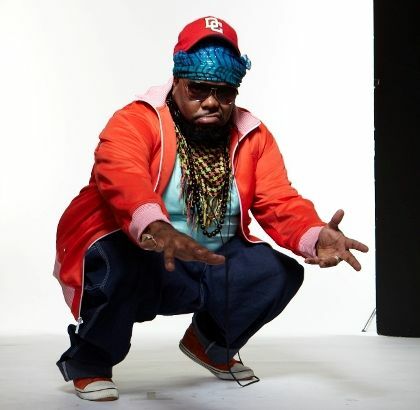 Lead single RoxTar drops a laundry list of unlikely influences, making it essentially a Who’s Who of the last 30 years in music, and sounds a little like Hyro Da Hero mackin’ on the set of Dr. Who. We’re hoping to bring ya’ll the premiere of the video for RoxTar in the coming days, so hang on.